A new generation of memory burn-in-testers that are intended to meet the increase in global customer demand for server and mobile storage solutions, is coming on to the market. In October, Advantest Corp. announced the launch of its high throughput, low cost B6700D Memory Burn-In testers. These measure the performance of NAND Flash and DRAM (dynamic random access memory) devices during the burn-in process. Advantest’s dual-chamber B6700D tester is said to meet the requirement for fast testing with a parallel test of up to 48 burn-in boards at speeds of up to 10 MHz. First deliveries to customers of the Advantest solution have already taken place and additional orders are now being accepted. A key goal of NAND flash development has been to reduce the cost per bit and to increase maximum chip capacity, thereby enabling flash memory to compete with magnetic storage devices, such as hard disks. MP3 players, digital cameras and USB flash drives all now use NAND technology. Based on non volatile storage (NVS) technology, NAND Flash memory does not require power to retain data. Between 2018 and 2023, the global NAND Flash Memory market is expected to register a CAGR of 9.1% with the wider global semiconductor industry projected to show even stronger growth. According to the latest full year figures from the analyst group Gartner, the global semiconductor industry grew more than 20% in 2017 on strong memory chip and NAND flash demand. In 2017, turnover exceeded $420 billion from $345.9 billion in 2016. However, such has been the demand for NAND flash that in 2016 a shortage began to occur. This shortage is in large part due to the hike in demand for memory burn-in-testers as vendors’ transition from manufacturing 2D NAND to much denser 3D NAND technology, known as Vertical NAND or V-NAND. DRAM is typically used for data or programme code and is widely used in personal computers (PCs), workstations and servers and is one option of semiconductor memory that a system designer can use when building a computer. Advantages of DRAM include its simple design, speed and low cost in comparison to alternative types of memory. On October 23-25, the Fremont, California based supplier of semiconductor test and burn-in equipment, Aehr Test Systems, showcased its new FOX-XPTM next generation multi-wafer test and burn-in systems at the Annual International Wafer-Level Packaging Conference (IWLPC). The system is capable of functional test and burn-in/cycling of WLP products including flash memories, microcontrollers, sensors, and other leading-edge ICs in wafer or multi-die panel form. The latest configuration also enables burn-in of singulated WLP die and multi-die modules to screen for defects in both the die and the WLP assembly process. The key feature of the FOX-XP test cell is the ability to provide up to 2,048 ‘Universal Channels’ per wafer, enabling the system to test all the devices on the wafer in parallel. The innovative architecture allows any channel to perform any function (I/O, Device Power Supply (DPS) or Per-pin Precision Measurement Unit (PPMU)). Also in October, the US-based Micron Technology Inc. opened a $1.61 billion IC packaging and testing plant in the Central Taiwan Science Park in Taichung as part of its plan to build a comprehensive production base in Taiwan. Micron’s DRAM chips will be applied to a wide range of applications related to AI technology, such as machine learning and self-driving cars. 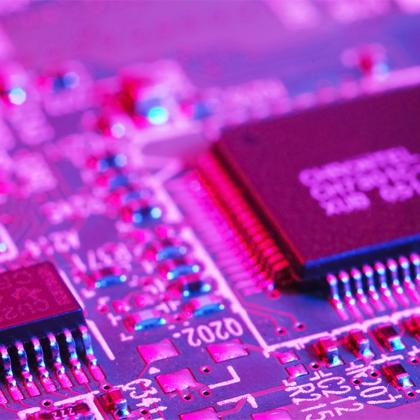 It is clear that the surge in the semiconductor capital equipment market is causing a corresponding increase in the memory chip test equipment sector. But as Risto Puhakka, president of VLSI Research points out, the surge in demand for memory test equipment follows a five year stagnant period between 2011 and 2016 when the equipment market was in the doldrums. And as Jeff Dorsch, technology editor at Semiconductor Engineering comments, the present strengthening of the market for memory test equipment is also not without its drawbacks. Next-generation devices, such as 3D NAND flash memories, HBM2 chips, low-power double-data-rate DRAMs, graphics DRAMs, phase-change memories, magnetoresistive RAMs, and resistive RAMs present new technical challenges to testers with their advanced packaging. Yet despite these hurdles, the market is buoyant and companies like Advantest and Teradyne that currently dominate the memory test equipment market, together with up and coming vendors like UniTest based in South Korea, can expect to reap rewards well into the next decade.